A good few months ago, I blogged about my experience at brunch at the Tre Ciccio in Altrincham and I enjoyed it so much, I’ve been telling practically everyone about it! 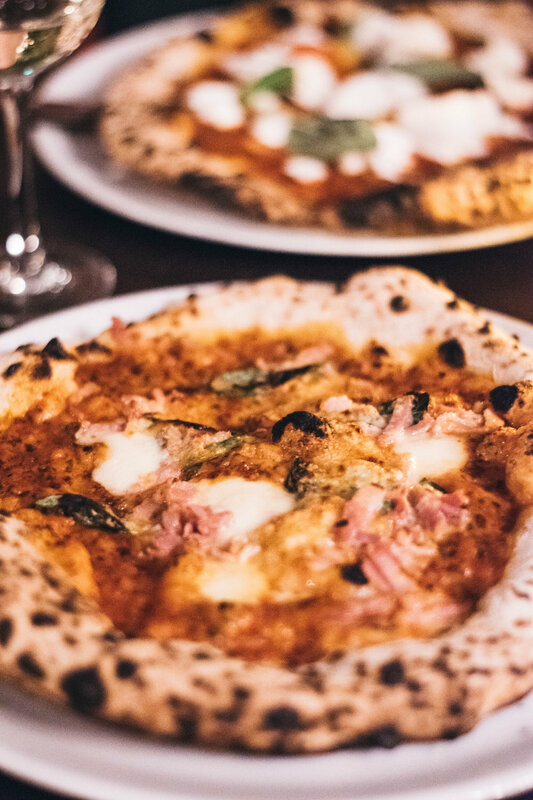 Since then, Tre Ciccio has spread its wings and recently opened a new location in Bramhall Village and I was very kindly invited to come over and try it - and it was incredible. As soon as we stepped through the doors, the atmosphere was unbelievably welcoming. Similarly with their Altrincham restaurant, there was a distinct warmth to the ambience with raw brick and plenty of fires! 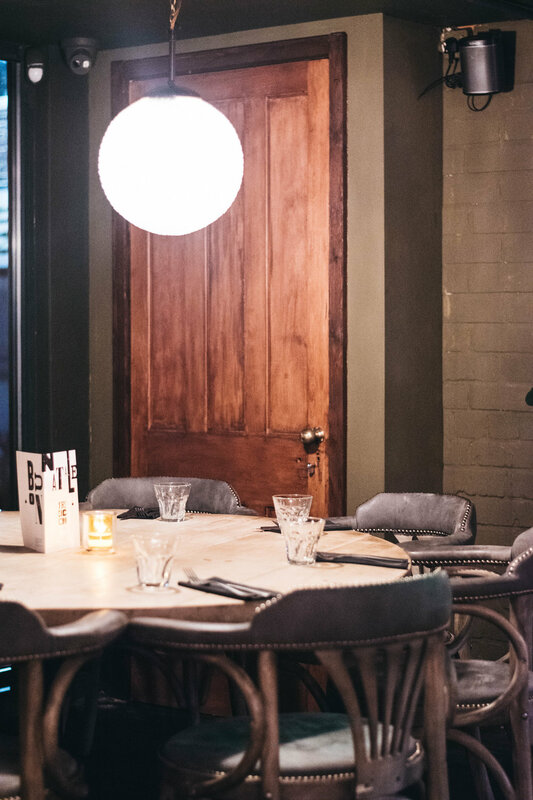 The Bramhall restaurant is surprisingly large and has so many stunning features from original tile floors to an expansive seating area that really adds a nice feel. We started with a couple of starters, the Rotolini and the Cuoppo Fritto. I constantly see the rotolini on Tre Ciccio’s instagram and it was absolutely incredible! 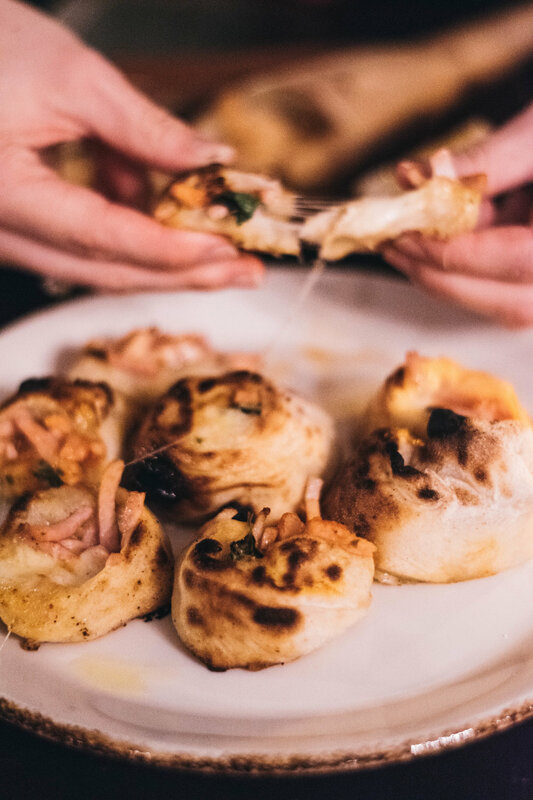 A twisted dough ball of sorts, these were filled with Italian cured ham and mozzarella - simply delicious. The cuoppo fritto was an assortment of breaded calamari, king prawns and small fish, served with a garlic mayonnaise - it was equally as delicious as the rotolini! For mains, we couldn’t help ourselves but go for pizza! Opting for the Caprese and the Salernitana. Both were by far the best pizza I’ve ever had! 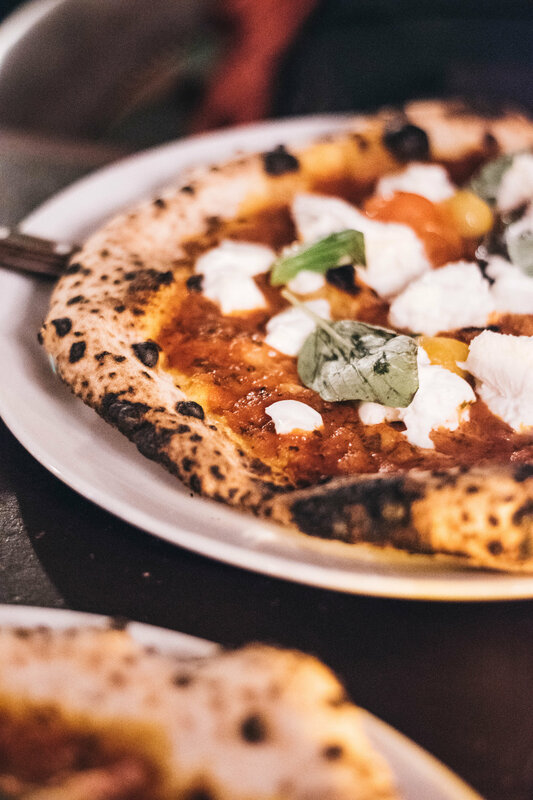 The Caprese was very much like a caprese salad on a pizza, with large chunks of fresh mozzarella, basil leaves and tomato - for a pizza, it had an incredible freshness to it. The Salernitana was equally as delicious, with sliced pancetta, fior de latta and parmesan. The base for both pizzas had a wonderful rustic feel and tasted incredible! 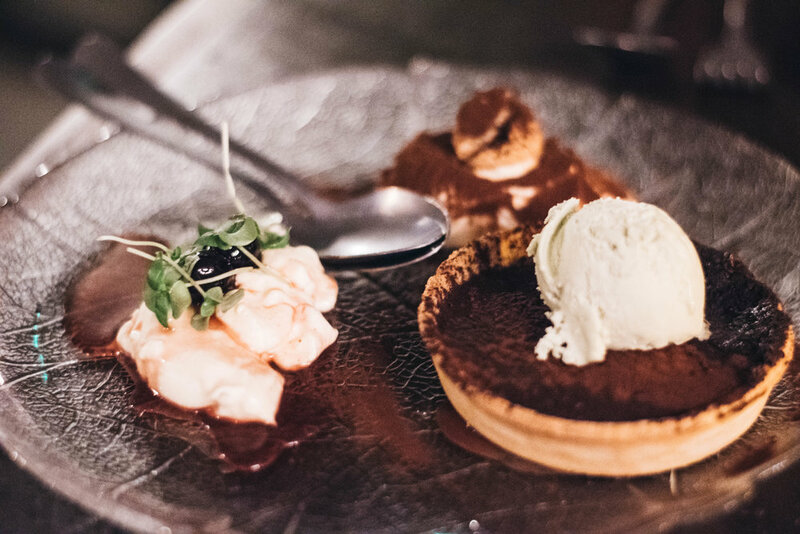 By desert, in all honesty, we were understandably full but we couldn’t not go for the Tre Ciccio which is three classic deserts for sharing. Made up of a Tiramasu, a Torta al Cioccolato and Panna Cotta, it was a fantastic way to try a little bit of everything! The tiramasu was incredible - it was really light but all the flavours were there. The pana cotta was again something I was intrigued by as it was served with amarena cherries but the combination of the cherry flavour worked so well with the creaminess of the pana cotta. The chocolate torte was my absolute favourite as not only was it served warm, but it came with a pistachio ice cream that was incredible! Overall, the meal was genuinely fantastic, each course was delicious and the beautiful ambience provided by the new Bramhall branch was simply wonderful. Thank you so much for inviting me, Tre Ciccio, I had a wonderful time! *Please note that whilst I did not pay for this meal, all opinions are entirely my own and honest!